In 1962, BMW broke even for the first time since the war thanks to a strategic infusion from the Quandt family, and some surprising success with a few models (see Birth of the Bavarian Sports Sedan and The Halo and the Hail Mary). This allowed them to introduce the Neue Klasse sedans in 1963 which immediately began to sell well. A 1500 model was introduced in various trim levels, all using the now famous "3 Box" design, and the M10 engine. The 1500 gave way to a 1600 model (except in countries where 1500cc was an important tax limit), and the a 4 door 1800 was eventually introduced. A homologation special, the 1800 TI/SA, was introduced in 1964. It was produced to support the factory works effort, and took the TI (Turismo Internationale) production version and upgraded it to SA (SonderAusführung) specifications. This involved higher compression (10.5:1), twin Weber carbs rather than the twin solex TI, larger brakes upfront and rear disc brakes, a 5 speed gearbox, and a hotter camshaft. In the cockpit, there was a special tachometer and sport seats. On the exterior, there were no bumpers, and plain wheels without trim or covers. The end result was 150 hp compared to 120 hp in the TI. 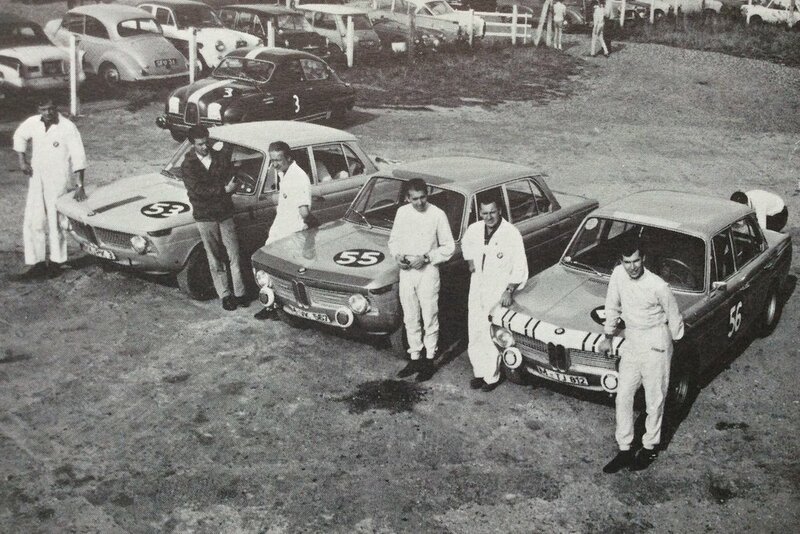 Only 200 of these specials were produced, and they were sold only to race teams. The TISA was successful in competition, winning the German national championship in the hands of Hubert Hahne in 1964, and coming second at the Spa Francochamps 24 hour race. In 1965, the TISA won Spa in the hands of Pascal Ickx (yes, father of Jacky Ickx). Today, you can still find the TISA at events like Goodwood and the Monterey Historics, but they are mostly tucked away in private collections and museums.